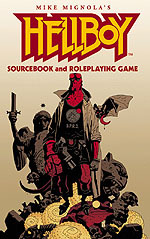 1,000 copies of the Hellboy Sourcebook and Roleplaying Game were hardbound in a foil-stamped leather cover, with the regular cover retained inside (so you still got the new Mignola art). 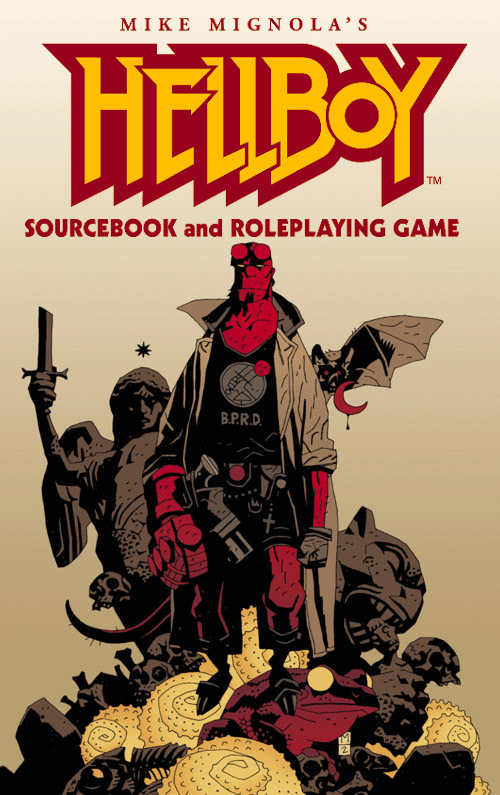 e23 offers worldbooks, supplements, and adventures, in digital form, for GURPS – as well as many of our other game lines. 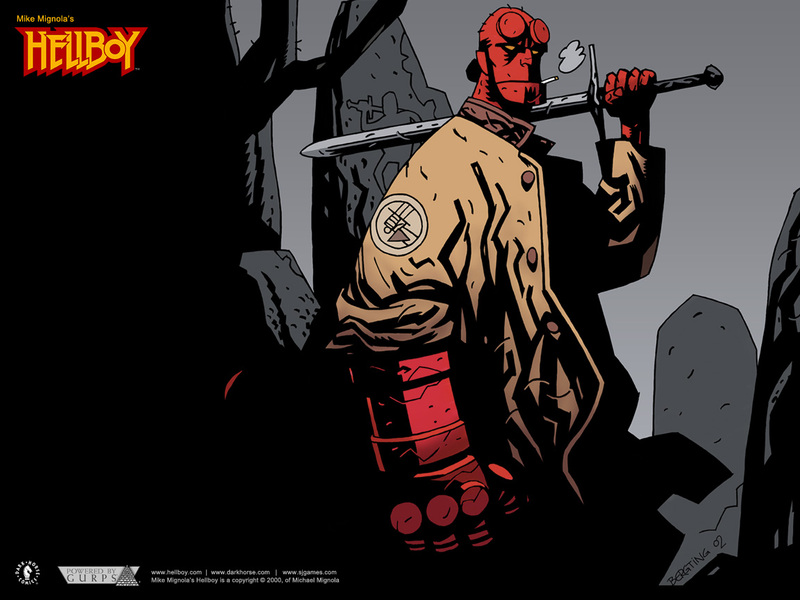 Surf our site for the files you want . . . and get them instantly with a credit card or PayPal. 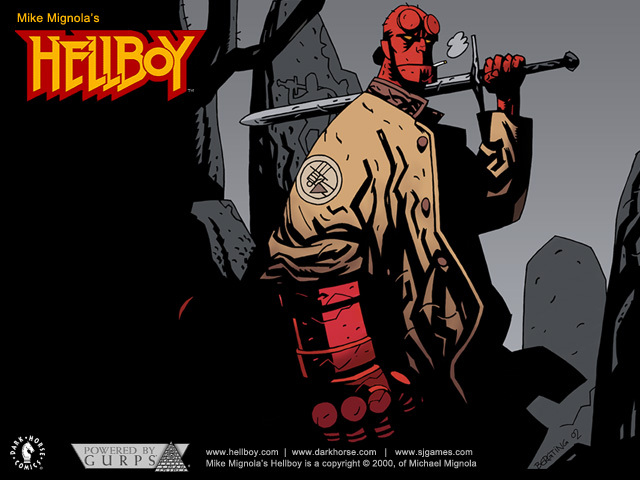 Discuss Hellboy in the Steve Jackson Games Forums. Don't want to bend the spine of that beautiful book to photocopy a character sheet? 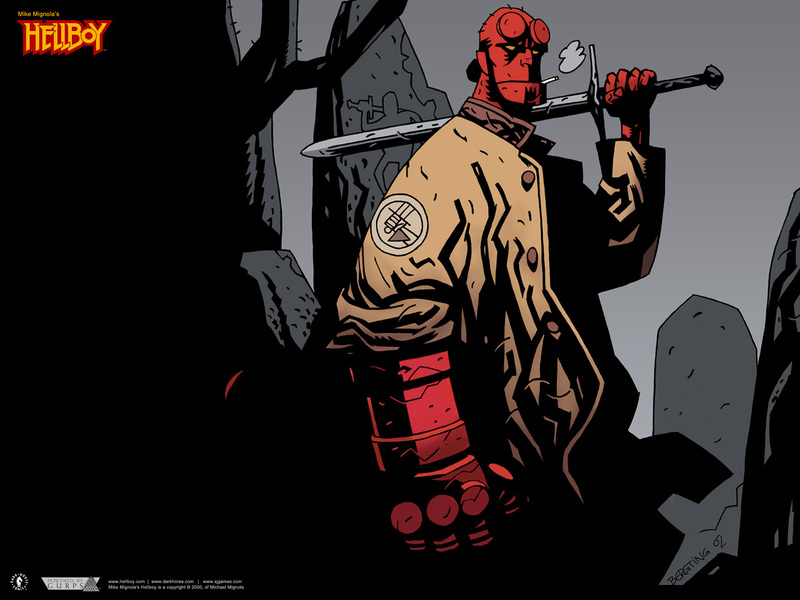 Now you can print your own! Want miniatures? 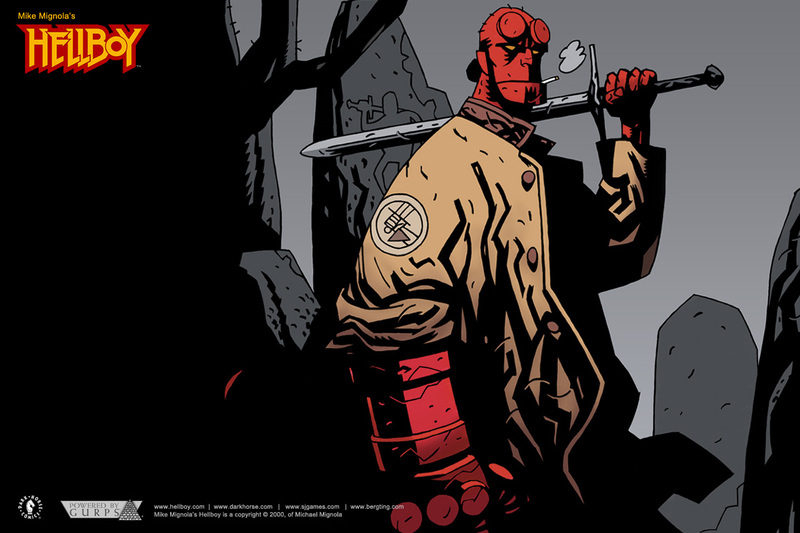 Check out Hellboy Heroes and Hellboy Villains! 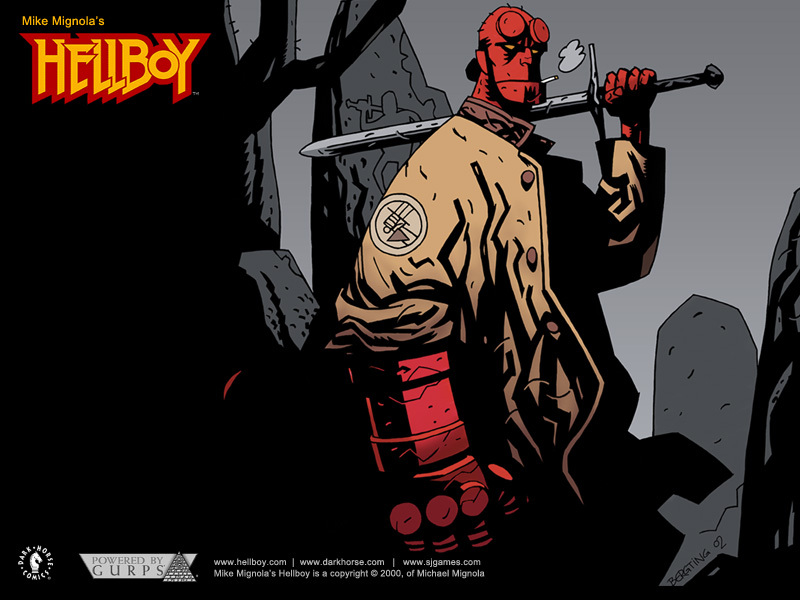 Check out our Hellboy GAMA flyer!